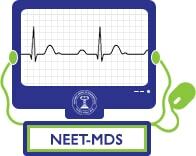 On the 1st week of November 2018, the National Board of Examinations (NBE) has released the NEET MDS 2019 Admit Card for NEET MDS 2019 Exam which will be available in online mode only. Applicants can download the admit card on the official website (www.nbu.edu.in). At the end of the Registration & Scheduling process, the applicant will get a computer generated acknowledgment mail to the registered Email Id. Admit Card will be issued to the candidate once registration & scheduling process is successfully complete. When the admit card is received by email, it should be read carefully and all information mentioned should be verified. The Candidate is required to print a copy of admit card and affix a latest passport size photograph of the following specifications on the Admit Card. A photograph of minimum 35x45 mm with at least 75% coverage of face & head of the candidate. A caption indicating the name of the candidate and date of taking photograph should be there at the bottom of the photo. The photograph should be taken in a white/very light coloured background. The photograph needs to display the full front view of the face. Please look directly into the camera with a neutral expression. The photograph must not have kinks, scratches, and stains. NOTE: Candidate is required to bring the admit card to the Test centre along with an identification document as mentioned below. Candidates who have obtained their Primary medical Qualification outside India and do not have SDC/DCI registration should bring their original screening test pass certificate issued on NBE letterhead. The name on the photo identification must match with the name as shown on the Admit card. If the name has been changed due to events such as marriage; candidate must show the relevant document at the time of the exam. Candidates are required to keep their admit card and photo identification at all times during the conduction of examination.